THIS WEEK’S QUICK TIP ! Designed for grooming small areas like the mound and baselines. Exclusive Steel Mat Mop: use steel10 during checkout (offer valid thru Feb. 26). Reduce lip build up and quickly shave down high spots due to the sharp, curved tines. Exclusive Level Head Iron Rake w/Curved Tines: use iron10 during checkout (offer valid thru Feb. 26). Final Vote for New Concession Item at Fifth Third Ballpark ! COMSTOCK PARK, MI – For over eight years the public has decided what will be the next star on the Fifth Third Ballpark menu when the West Michigan Whitecaps start their season in 2017. The Whitecaps along with their partner Zeeland Food Services, Inc. asked fans to submit ideas for what new food items they would like to see at the ballpark this summer. The food idea submissions have now been pared down, and starting today, Thursday, February 23, fans will be able to vote for their choice for the new 2017 concessions item. Deep Fried Bubble Gum: Chewing gum and baseball has been synonymous. It’s in packs of baseball cards, it’s in the clubhouse, it’s in the dugout and now it’s in the deep fryer ! Deep Fried Bubble gum is a home run of an idea ! Dessert Fries: (fries with ice cream toppings) The age long dispute between those that like sweet and those that like savory has been settled. Dessert Fries have the perfect amounts of French Fries, chocolate and strawberry sauce. It’s a sweet and savory paradise where everyone is welcome! The Last Samuroll: (uncut sushi roll and coated it in batter. Deep fried and served with Siracha mayo). From the Land of the Rising Sun comes the biggest import since Pokemon! We’re going take that sushi roll put it on a stick, deep fry it and add a little Siracha! It won’t be the Last Samuroll you’ll ever eat. Beercheese Poutine: (fries, pulled pork bbq sauce, beercheese sauce, green onions). We’re going to show those Canadians a thing or two about food! 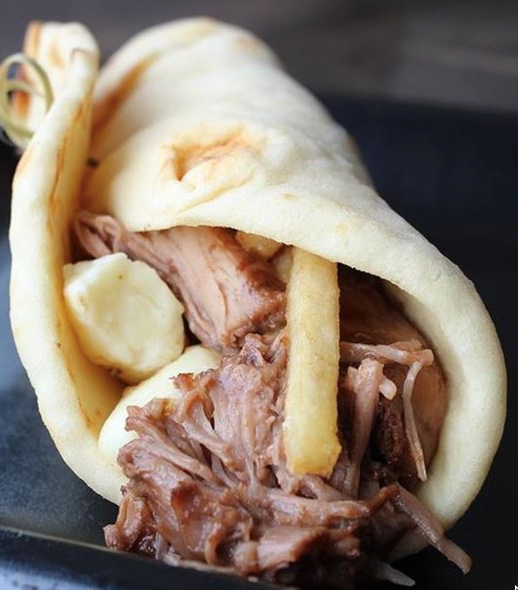 Take fries add pulled pork, bbq sauce, beercheese sauce and green onions put them all together and it makes all of our friends from the Great White North switch from ‘Eh to Heeeeeey! The Alan Spammell: (fried Spam, mac ‘n cheese, bacon) Fried Spam and mac ‘n cheese might be a better duo than Alan Trammell and Lou Whitaker… That’s a stretch, but you can chalk this up to be the best double play combo of the 2017 fan food voting. Fried spam, mac n’ cheese, topped with bacon and served on bun is truly a pitcher’s best friend. Cy Youngdae: (donut sandwich with strawberries and whipped cream) Having a donut, great! Two donuts, amazing! Add strawberries and whip cream sandwiched between two donuts is the Cy Young of all desserts! This will go down as arguably the greatest dessert in history. Nacho Mama’s PB&J: (deep fried peanut butter and jelly coated in Doritos) The days of trading your sandwich at the school lunch table are over! The traditional peanut butter and jelly sandwich has been schooled. Mighty Mac Dog: (hot dog, mac ‘n cheese, bacon, lettuce and tomato on a pretzel bun). All Michiganders know to cross from the Mitten to the U.P. you use the Mighty Mac. When you cross baseball and amazing you get the Mighty Mac Dog! After eating this you’ll never be cross again. Last year’s winner was Dutch Love (a miraculous combination of pot roast, cheese curds, French fries and turkey gravy). Voting will run through Friday, March 3, and will take place on the Whitecaps website and will be announced later in March. The winning entry will be on the menu for all fans to enjoy. The Whitecaps open the 2017 season on Thursday, April 6, against the South Bend Cubs at 6:35 pm. Season, group tickets and individual tickets are now on sale. 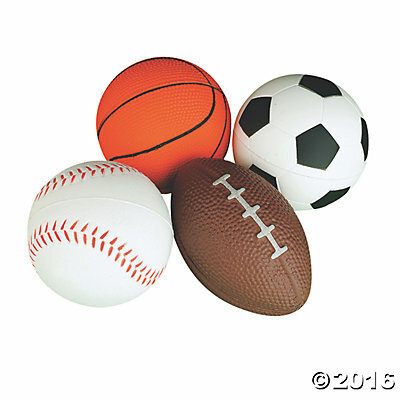 Plans for 109-acre Sportspark move forward in Warren County ! 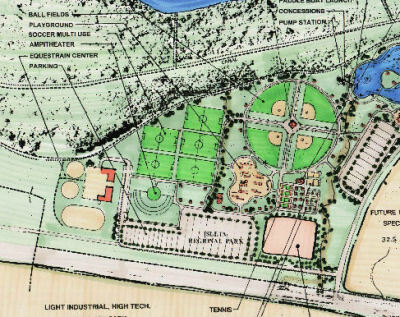 Plans for an 109-acre Warren County Sports Complex at Union Village were supported Thursday by the Warren County Regional Planning Executive Committee. The recommendation for approval, another step toward completion of the project, was lauded by Otterbein Senior Lifestyle Choices, owners of more than 1,400 acres south of Springboro, where the complex is to be a key component of the Union Village planned community. “We are thrilled to have a sports complex anchoring the northern part of what we hope will become Union Village,” Gary Horning, vice president of marketing and communications for Otterbein Senior Lifestyle Choices, said in an email. The commission’s executive committee, made up of officials from throughout Warren County, reviewed plans and standards for the facility, off Greentree Road and Ohio 741, within the Union Village development. Work could begin in March or April. 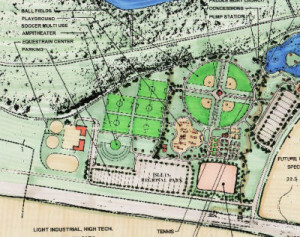 The park is to include 12 multi-use fields, four baseball diamonds, two championship multi-sport fields, two championship baseball fields and two concession stand and restroom facilities on the northwest corner of the the proposed village. The park is planned on both sides of Turtlecreek Twp. Park, on Greentree Road, and across Ohio 741 from Warren County’s Armco Park. Additional netting and tree plantings were recommended by the committee to buffer the facility and its lights from neighboring properties and the roads. But the committee supported the paln largely as submitted. It is still subject to approval by the Warren County Board of Commissioners. Otterbein has agreed to donate the land for the sports complex, provided a cost and tax sharing plan is worked out for the Union village development. This week, Turtlecreek Twp. submitted plans for a community authority which would assess property owners and visitors to help pay for amenities and maintenance of the development expected to take shape over the next 30 to 50 years. Earlier this month, the Turtlecreek Twp. trustees submitted proposed tax abatements of 50 percent of property tax on homes and 100 percent of property taxes on commercial development for 30 years. The sports park is to be operated by the Warren County Convention & Visitors Bureau (WCCVB) and funded largely through an additional lodging tax from local hotels. After the meeting, Phil Smith, executive director, said approval of the tax by the county commissioners remained a “work in progress”. Use on ground anchors when bases are not in use. Prevents dirt buildup around stake and inside sleeve. Sold as single plugs. Exclusive Base Anchor Plugs: use plug10 during checkout (offer valid thru Feb. 26). Remove puddles quickly and easily with this sponge that is built to last through several seasons of use. It’s easy, and won’t disturb your topdressing — absorb puddles, squeeze out the puddle water in a grassy off-field area and then hang to dry. Sold as set of 3 sponges. Exclusive Puddle Sponge: use puddle10 during checkout (offer valid thru Feb. 26). 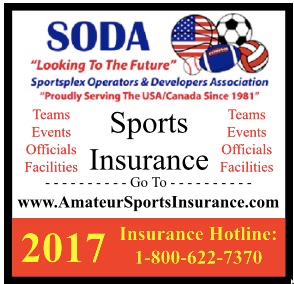 Preliminary work approved for Sylvan Lake, AB sports park ! Park proposed for west side of town to have baseball diamonds and soccer fields and an RV camp. Preliminary work has begun on a major sports park in Sylvan Lake, AB (Canada). Last year, a local family donated 20 acres for the park and the town spent just over $1 million to buy another 54 acres from the family. The proposed site is just west of 60th Street on the west side of Sylvan Lake, AB. Four baseball diamond, two soccer fields, multi-use artificial turf field, cricket pitch,volleyball courts and cricket pitch will be built along with a basketball court that will become an outdoor ice rink in winter. The park will also have a fieldhouse,special events green space and a 25-stall RV camping site. The new sports park will be known as Pogadl Park in recognition of the the land donation in the name of Ed and Glenda Pogadl. Earier this week, Sylvan Lake town council approved a $9,834 contract with Red Deer’s Union Street Geotechnical to determine what site work will be needed to develop the park. Town spokesperson Joanne Gaudet said the park is a long-term project. Council has put aside $270,000 in 2018 and 2019 and $1.27 million in 2020 for the project. Qualite Sports Lighting, LLC and the GameChanger™ LED Sports Light Named as a Finalist for the 2017 Edison Awards™ ! 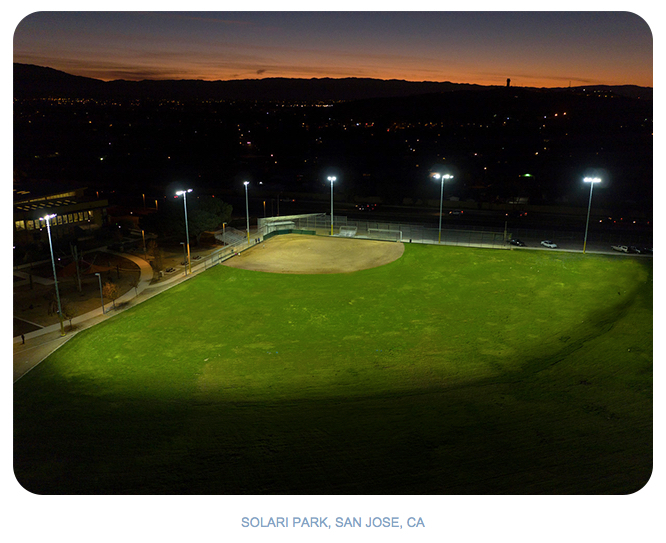 Qualite Sports Lighting, LLC has been named as a finalist in the 2017 Edison Awards™ for their revolutionary design of the LED sports lighting system, the GameChanger. The Edison Awards™ is an annual, global competition honoring excellence in new product and service development, marketing, human-centered design, and innovation. Edison Award™ nominees are judged by more than 3,000 senior business executives from across the United States, whose votes acknowledge the finalists’ success in meeting the award’s strict criteria and quality standards. Award winners will be announced on April 20, 2017 at the Edison Awards Annual Gala, held in the historic ballroom of the Capitale in New York City. Qualite has been the Sports Lighting Partner for high schools, colleges, parks and recreation departments, and minor and major league professional sports franchises for over 30 years. 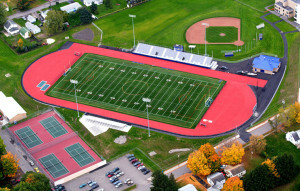 Qualite’s Q-LED GameChanger™ is the first high performance sports lighting system designed for all sports venues, from youth to professional sports stadiums with a focus on great connectivity and functionality at affordable pricing. 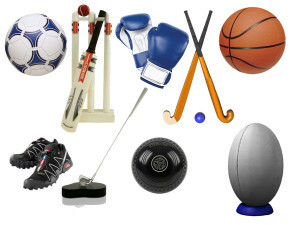 Qualite Sports Lighting is a wholly owned subsidiary of Worth Investment Group. Hot Diggity Dog Jog at SportsPark On April 1st ! The Greenville, TX SportsPark will be going to the dogs April 1, during the Sixth Annual Hot Diggity Dog Jog/Gettin’ Jiggy with Pet Cancer Awareness and Bark in the Park events. Multiple canine-related activities are scheduled throughout the morning and into the early afternoon. The event is presented by the Turtle Creek Veterinary Medical Center in Greenville and will include a 5k Race, a one mile Fun Run/Walk, a K-9 Police Unit demonstration, a “Teach Your Dog a Trick” class, pony rides, a petting zoo, the Strut Your Mutt Dog Talent Show, a raffle, the Running Of the Wieners dog race, the announcement of the winners of the BarkART contest and more. The center’s hospital team will also be on site in an informational booth to talk about general veterinary medicine, and specifically pet cancer awareness. Proceeds benefit the Morris Animal Foundation for pet cancer awareness and research. Regional Sports Plex put on market for $5.3 million ! Mr. Tim Stonecipher and nine investors broke ground in June 2007 on a vacant west McCracken County lot, a “bean field” on Highway 60 that became the Paducah Regional Sports Plex. “None of us did this to get a (major) return on our investment,” said Stonecipher, who originally conceived of the project and retains an ownership stake. “We did it for other reasons. Nearly a decade later, the ownership group is ready to sell. The multi-use, climate-controlled indoor sports facility, which encompasses roughly 80,000 square feet and sits on 39 acres, went on the market 10 days ago. The asking price is $5.3 million. The sports plex draws 150,000 visitors annually for basketball, volleyball, soccer, softball and other activities. Over the years it has hosted everything from dog agility competitions to mixed martial arts to roller derby. “We all committed to five years, and we’ve been in this now for a decade,” he said. “We are ready to pass the baton. We feel like somebody will have new, fresh ideas and can take it to the next level and further the goals we had. Sirk & Company Real Estate in Paducah is listing the property. 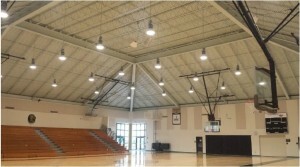 Ben Sirk described the sports plex as one of the area’s most “unique” properties, one benefitted by proximity to Kentucky Oaks Mall, Interstate 24, Barkley Regional Airport and McCracken County High School. It’s also in a growing part of the county. “Over the last 10 years especially, every user and tenant that wants to locate a business in Paducah, primarily retail, wants to be on Highway 60 and they want to be as close to the mall as they can be,” Sirk said. Stonecipher said roughly half the people who visit the indoor facility each year come from outside of Paducah and McCracken County. He estimates the sports plex has a $9 million annual impact on the local economy. “There’s just not another place like ours until you get to Nashville,” he said. Sirk said it’s early in the sale process, and interest in the sports plex hasn’t gone beyond initial inquiries. He said there’s no telling when a sale might be completed. “Marketing a property like this really is a completely different animal from marketing just a residential house or lot,” he said. “Finding a user or buyer can be difficult, especially in western Kentucky. We’re marketing this thing worldwide. There are 12 options for potential buyers or leasers, Sirk said. Packages are available for seven commercial lots fronting Highway 60, leasing 12,688 square feet within the sports plex, or buying the property outright, he said. 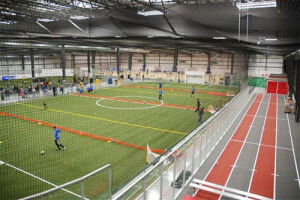 McCracken County Commissioner Bill Bartleman said the sports plex has been an attraction for out-of-towners and an amenity for local residents. “It’s an important piece of real estate, and they have an important product there,” he said. “It brings people into the community. The essential tool for a proper mound slope. Includes a heavy-duty aluminum alignment gauge, metal ruler, two support rods, storage container, and instructions. Exclusive Beacon Mound Slope Gauge: use slope10 during checkout (offer valid thru Feb. 12). Quickly and easily remove excess dirt from your base ground anchors with this steel blade dig out tool with sturdy wooden handle Exclusive Base Anchor Dig Out Tool: use dig10 during checkout (offer valid thru Feb. 12). The season is upon us. 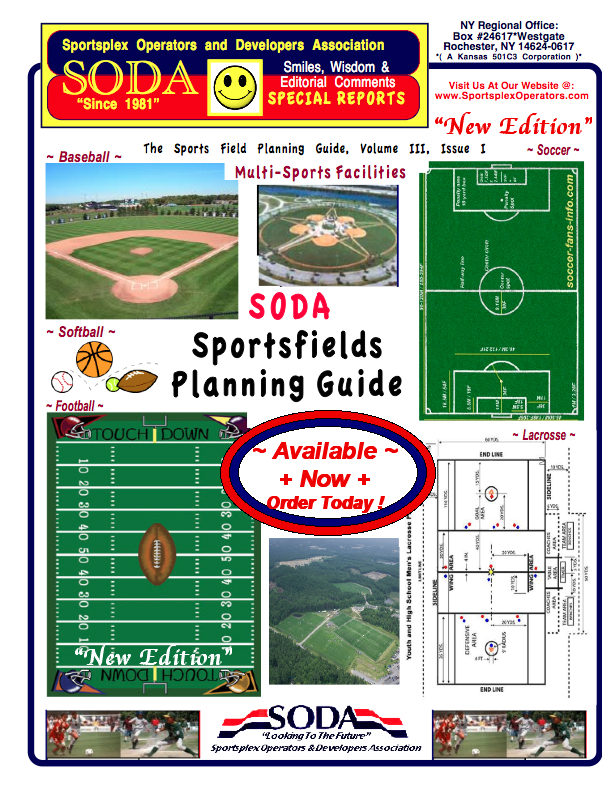 Get your copy of The Ultimate Ballfield Resource: The 2017 Beacon Catalog. Have you received one? If not, request your copy today. Our 2017 catalog is our complete listing of products to get you ready for the upcoming season. Now is the time for GROUNDSKEEPER U! COMPLETELY FREE & MOBILE FRIENDLY. We’ve relaunched the web’s premier online field maintenance training tool, Groundskeeper University. Our goal is to bring professional training directly to you and your staff. But that means it has to be done right. Learn the tried & true practices of the pros. 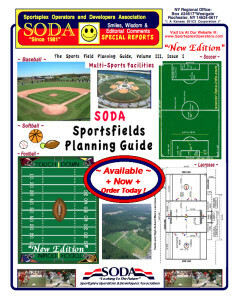 Our dedicated online resources by groundskeepers for groundskeepers are available in whichever format works for you: blog articles, online field dimensions, innovative products and training at Groundskeeper U. 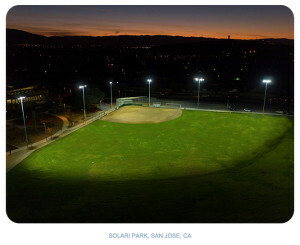 Whatever you need for your ballfield, think Beacon. Visit Groundskeeper U!